create a sense of movement and excitement. 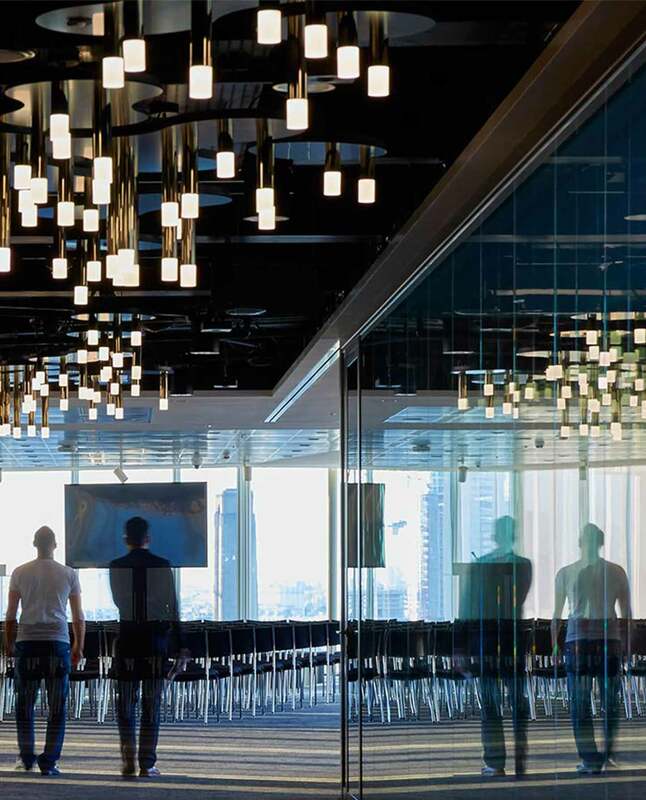 At News Corp HQ, each floor of the 17-storey glass-and-steel block has been given a distinctive visual identity and ambience. Sitting at the top of the building – above The Sun, The Times, HarperCollins and Dow Jones – are the company executive suites and events area. Our task was to create a series of tessellating light sculptures that would contribute to a visually stimulating atmosphere for visitors who want to be impressed. Our dynamic and interactive light installation is a piece of art – literally. 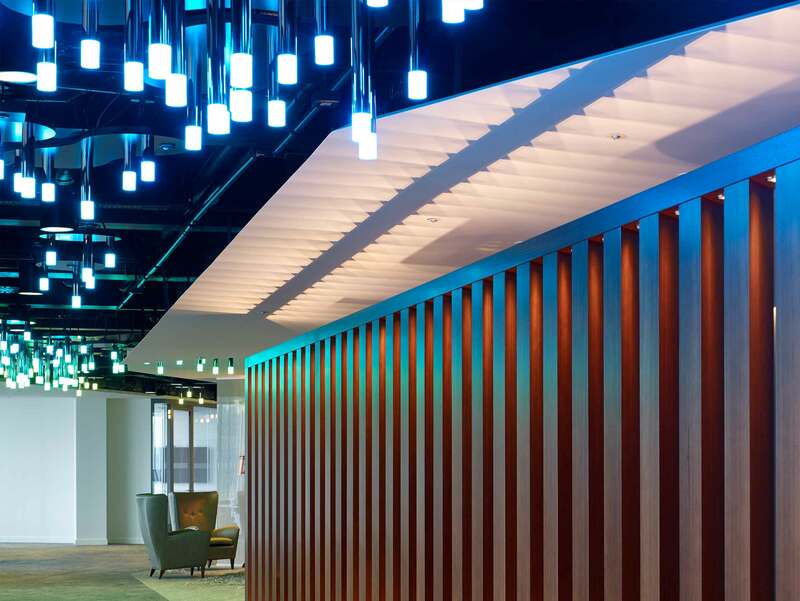 It comprises smoked chrome-plated rods of various lengths, which contain colour-changing LED luminaires and hang from the ceiling like stalactites. These “stalactites” are attached to lily pad-inspired tessellating base plates, which allow them to be placed at different orientations for a natural effect. The installation adjusts in tone and colour as it senses movement – visually representing the flow of people around the space.